Welcome home to this well maintained three bedroom, two bathroom home on the best corner lot in the neighborhood. Great living room, kitchen, and dining space on the first floor. Head upstairs where you will find two bedrooms plus your spacious master bedroom with attached bathroom. Laundry room located conveniently between bedrooms- washer and dryer are included. Head out to the low maintenance back yard space and enjoy dinner on your new patio. Drive around and see first hand all of the walking/biking trails, parks, shopping, and entertainment! The location can't be beat!! 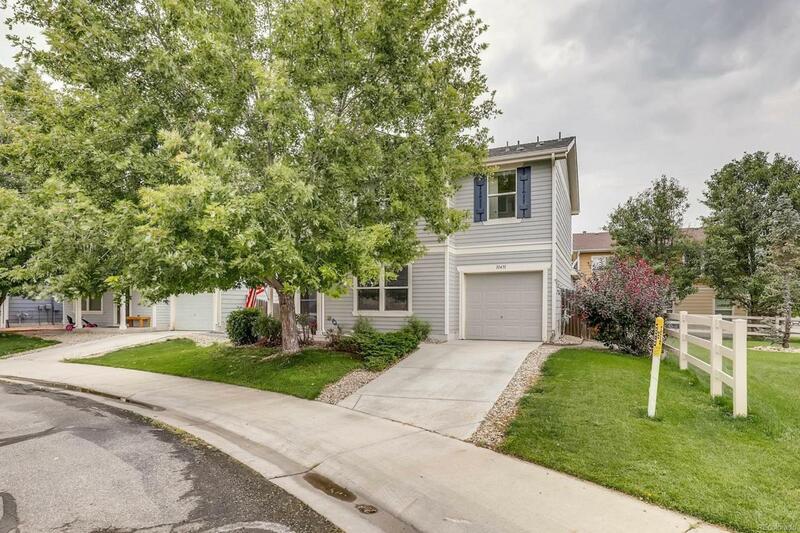 Minutes to I-25 and easy commute to Boulder and Denver! Offered by Live.Laugh.Denver. Real Estate Group.